Velodyne Lidar has announced that its surround-view lidar solutions for collecting rich perception data in testing and validation are available on the NVIDIA DRIVE autonomous driving platform – allowing full, 360-degree perception in real time, facilitating highly accurate localization and path-planning capabilities. 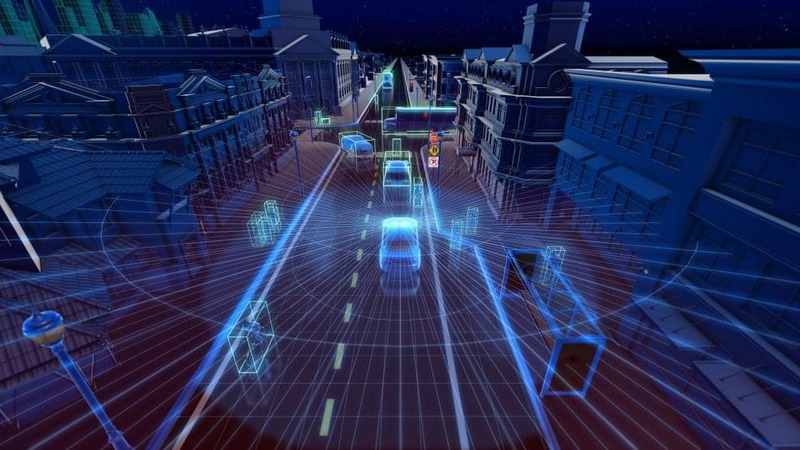 Velodyne sensors’ characteristics are also available on NVIDIA DRIVE Constellation, an open, scalable simulation platform that enables large-scale, bit-accurate hardware-in-the-loop testing of autonomous vehicles. The solution’s DRIVE Sim software simulates lidar and other sensors, recreating a self-driving car’s inputs with high fidelity in the virtual world. Velodyne provides a broad portfolio of lidar solutions, which spans the full product range required for advanced driver assistance and autonomy by automotive OEMs, truck OEMs, delivery manufacturers, and Tier 1 suppliers. Proven through learning from millions of road miles, Velodyne sensors help determine the safest way to navigate and direct a self-driving vehicle. The addition of Velodyne sensors enhances Level 2+ advanced driver assistance systems (ADAS) features including Automatic Emergency Braking (AEB), Adaptive Cruise Control (ACC), and Lane Keep Assist (LKA).